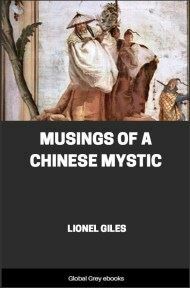 This is a short anthology of translations of classic Chinese poetry, including such favorites as Tu Fu, Wang Po, Ch'Ang Ch'ien, Ou-Yang Hsiu, Su Tung-P'o, Yuan Mei, and Li Po. 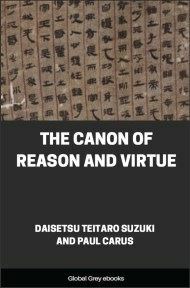 The introduction discusses some of the cultural background of the symbolism in these poems, including such symbols as the moon, flowers and dragons. In Spring, "for sheer delight," sang Yuan Mei, "I set the lanterns swinging through the trees." 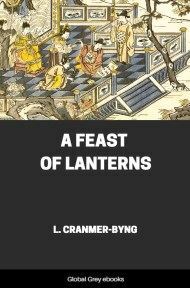 This was no formal Feast of Lanterns held in the first month of the year, but his own private affair, the lonely ritual of a spring-worshipper and garden anchorite. Perhaps those who loved him—and they were many—wandered his pleached alleys and maple groves and admired the lanterns with their red dragons that leaped and plunged in gold and silver seas; but I like to think that the guests were gone in long procession of gleaming boats when the old rose-master looked on his garden and found it whiter and fairer than the far-off moon. At once you guess the whole charm and weakness of Chinese poetry. Here is the narrow moon-garden of its range, its myriad dragons shoaling through unreal seas, its peonies with the souls of mandarins and chrysanthemums with the shadows of children. Yet this sense of limitation and unreality belongs only to the surface; within this little space lies a vast world opened to us through symbols. The moon hangs low over the old continent of Chinese poetry. Chang O, Moon-goddess, is the beautiful pale watcher of the human drama, and all that she has known of secret things, of passion and pleasure, swift ruin and slow decay, she records in music. Through her great palaces of cold drift the broken melodies of unrecorded lives. She is the Goddess alike of sorrow and love—of Po Chü-i who in exile hears only the lurking cuckoo's blood-stained note, the gibbon's mournful wail, and Chang Jo Hu who rides triumphant on a moonbeam into the darkened chamber of his lady's sleep. Her rays are more persistent than water; you may draw the curtains and think you have shut out night with all its whispering of leaves, but a tiny crevice will let her in. Best of all the poets loved her when she lingered above the broken courts and roofless halls of vanished kings. Time and nemesis wrote large upon their walls, but moonlight brought them a glamour unknown to history, and cast a silver mantle lightly upon their dust. They were what Tu Fu and Meng Hao Jan willed—bright shadows in the rose alleys of romance; Gods of War and builders of their dreams in stone. At least one singer prayed the Moon that his passionate heart might haunt the ruins of Chang-An, a nightingale. All sacred intimacies and desires that dare not clothe themselves in words have her confidence, and because she is goddess as well as woman she will never betray them. She links together the thoughts of lovers separated by a hundred hills and the lonely places of despair are steeped in her kindness. On the fifteenth of the eighth month she graciously descends from her "domain, vast, cold, pure, unsubstantial," and grants the desires of all who await her coming. Lastly, she is the link between the present and the past, binding us in the solemn hours to the men or women who have lived and wrought beneath her spell. One Chinese poet, remembering in moonlight the lovers of long ago, prayed that lovers yet to come might also remember him. Two hundred years had flown, and after a night of splendour some woodman passing at dawn found a double lotus on a broken tomb. And Kyuso Muro, the Japanese philosopher, has written: "It is the moon which lights generation after generation, and now shines in the sky. So may we call it the Memento of the Generations. As we look upon it, and think of the things of old, we seem to see the reflections of the forms and faces of the past. Though the moon says not a word, yet it speaks. If we have forgotten them it recalls the ages gone by… The present is the past to the future, and in that age some one like me will grieve as he looks upon the moon." 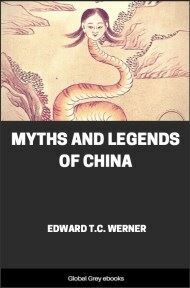 In the time of the T‘ang dynasty there lived a retired scholar whose name was Hsuan-wei. He never married, but dwelt alone, yet his companions were books and flowers, his little friends. If he had any enemies, they were frost and wind and blight and mildew. Three seasons brought him joy and one sorrow. Love to him meant the gentle opening of rose-petals, and death their fall. The neighbours never troubled about him, for how could there be scandal between a man and flowers? No woman ever plundered his garden and desecrated his Temple of Abiding Peace. In fine, he was the happiest man that ever lived. Then something came to pass. It was "blue night," and the garden never looked whiter underneath the moon. And every tree melted into the spirit of a tree peering between its luminous leaves. The Wu t‘ung whispered to the maple, and the maple passed the story round to the mountain pine of the phoenix that augustly condescended to rest in its branches some long-forgotten spring. Only the old willow stood apart and said nothing, for the willow is a wizard, and the older he gets the more crabbed and silent he becomes. The owner of the garden stood spell-bound in the moonlight. Suddenly a blue shadow flitted shyly from among the flowers and a lady in a long robe of palest blue came towards him and bowed "I live not far from here," said she, "and in passing to visit my August Aunt I felt a longing to rest in your beautiful garden." The wondering philosopher stammered his consent, and instantly a band of pretty girls appeared, some carrying flowers and some willow boughs. According to etiquette an introduction became necessary.